Tesla Motors have confirmed the company will return to Australia by June to launch the RHD Model S and its own network of Apple-style stores. 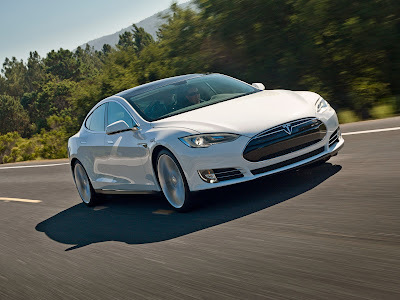 Having wound back its Australian operations following the end of its Roadster the US brand will begin deliveries of the Model S in the second quarter of 2014. Speaking at the 2014 Detroit motor show, a spokesperson for the automaker said orders had already been taken. They also confirmed plans are underway to establish a network of Tesla-owned stores in Australia, rather than traditional car dealerships. The Tesla store concept has been developed by the same man behind the Apple Store, George Blankenship. The stores are usually based in shopping districts rather than traditional automotive areas and are owned by Tesla rather than being franchised to dealers. The company’s next car, the Model X SUV, won’t arrive in Australia until 2015 at the earliest. Tesla declined to comment on price but it is expected the Model S may be priced around AUD$200,000.